Could you paint a Car-A-Day? To mess around with perfection should be a sin. So the moment "Imola Racing" even began to mess with the Ferrari 612 Scaglietti, the heavens should've opened and swallowed whole the German Tuner. At least it seems Imola was smart enough to not touch the engine. Instead this is likely just body enhancements. I don’t have much info on the kit. I do know its being considered a widebody because of the enlarged fenders and wider tires. There are also new front and rear spoilers as well as a two-tone paint job that is reminiscent of the first generation Corvette. So who turns road cars into race cars and then back into a road car? Well thats Reiter Engineering for you, who recently built a street-legal variant of their Murcielago R-GT that competes in the FIA GT1 and European Le Mans Series, is now offering a road version of their Gallardo GT3 racecar. 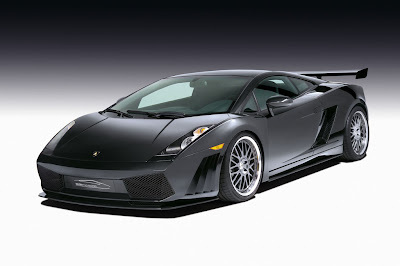 Based on the standard Gallardo this one features carbon fiber body work wich widens the car by 60 mm. A single large center-mounted exhaust system reduces weight by nine kg and added an extra ten horsepower, while new three-piece alloy wheels are wrapped with ultra sticky Michelin Pilot Sport 2 rubber. The interior stays relatively stock, although the stock seats have been replaced with leather-covered racing units. I can't say more about this car but that it is one of the cleanest/sickest Lambo's I've ever seen. 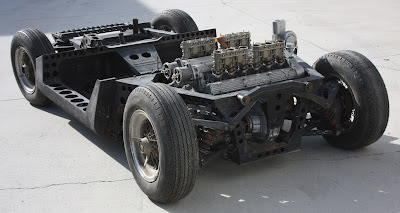 A one of a kind 1965 Turin Salon Lamborghini Miura chassis has surfaced equipped with the companies very first rear mounted 12 cylinder engine. The historic chassis that was designed by Gian Paolo Dallara, represents the very first mid-engined supercar theme for all very favirote supercars. The show chassis had been stored for the past 30 years in Cyprus by the country's original Lamborghini concessionaire, Marios Kritikos, who had acquired the historic unit in April 1978. 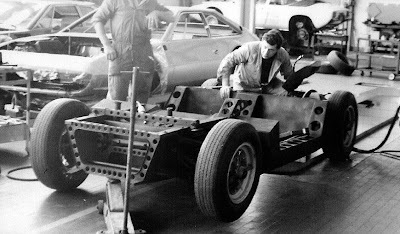 A month after its discovery and it was sold to LA collectors, the one of a kind chassis has been imported to the US and now resides in a restoration facility in Miura where specialist Gary Bobileff, will restore it to bring it to its former show glory. According to Lamborghini, the chassis will make its USA debut in the summer of 2009. 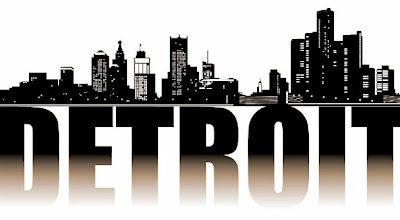 All of Detroit is safe until after the auto show in January, sorta. The government approved $13.4 billion in loans for General Motors and Chrysler for immediate consumption (Ford said “no thanks” for now.) This will take them until February when another $4 billion may be available, but they will also have to show that their operations are able to show "positive net present value" – a tough goal I’ll get to in a moment. So for this week, after the just I present a little accounting, a healthy dose of skepticism, and just enough optimism to keep fans of American cars from jumping out the window. I’ve just been driving the new Porsche Cayman S - the one with the new direct-injection engine and the limited-slip diff, the one that’ll now hit 60mph in just 4.9 seconds - out in Spain. We’ll have a proper in-depth review soon, but for now, here’s what you need to know: it’s unbelievably, unbelievably good - brutally quick, completely useable and just a tiny bit unhinged. No, the Cayman isn’t a friendly point-and-go sort of car: it makes you drive it properly. Stand on the brakes mid-corner and it’ll happily deposit you into a hedge, but take some time to get to grips with the mid-engined manners and it’s just magically, stunningly good to drive. One of the best ever, I reckon, especially if you get the manual rather than the double-clutch PDK gearbox. In fact, the Cayman S is so savagely quick - the direct injection gives astonishingly sharp throttle response - and so pure in its handling that I’d take one over a 911 Carrera. No question. But here’s where I need your help. The guys at Porsche are saying that - despite the general consensus that the Cayman S is now as quick as the Carrera over just about any sort of road - they’re not worried that potential customers might choose it over a 911. Different markets, different people, they say - while they admit the gap between the two ranges has tightened, people considering a 911 won’t look twice at a Cayman. So what do you think - is Porsche right? Is the 911 just too iconic to make you ever think about a Cayman, no matter how fast? 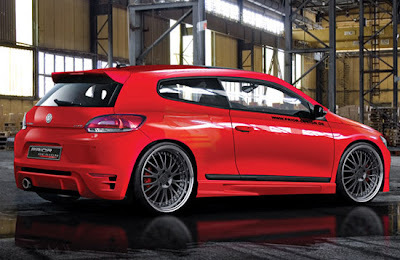 Or would you stoop just a little for a car as good as this? Looks like Maserati is getting into some territory usually reserved for the customizers when it unveiled a new special edition at the Bologna Auto Show, the MC Sport Line. Starting with a GranTurismo S, Maserati adds front and rear carbon-fiber spoilers, side skirts with a matte black central panel, carbon fiber mirror housings and exterior door handles, and glossy black 20" wheel rims. Maserati also added performance enhancing elements. The suspension has been upgraded to stiffer springs, shock absorbers and anti-roll bars. There’s also new software for Maserati’s Stability Program, which the company says allows the driver "more freedom". Because this comes directly from Maserati everything is done in good taste. This makes it a much harder sell for some of the custom jobs out there. Although this MC Sport Line is based on the GranTurismo S, Maserati says it will bring the Sport Line features to the GranTurismo and then the entire Maserati line-up in 2009. 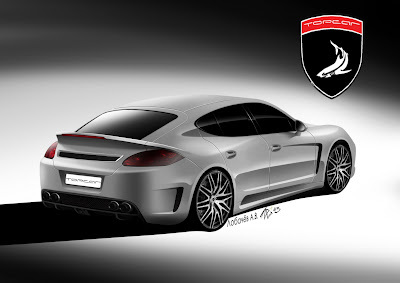 Our Russian friends over at Cardesign have sent us a new set of sketches depicting one of the first tuning proposals for the just revealed Porsche Panamera sports sedan. 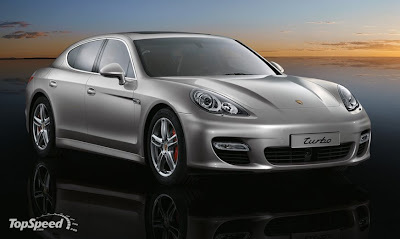 Although it was initially believed that 9ff was the only one company working on the Panamera, turns out that the German tuner has also joined forces with two Russian companies, called "Top-Car" and "Cardi". The role of each firm in the tuning project is defined as "Top Car" who will handle the design, Cardi the production of the bodykit parts and 9ff, the performance upgrades. This isn't the first time that the three tuning firms have collaborated on a Porsche project as last year they introduced the Cayenne-based Vantage GTR. 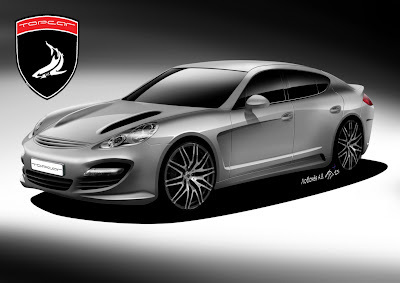 According to the folks at Cardesign, Top Car has designed two distinctive bodykits for the Panamera. The complete kit replaces every external body panel aside from the rooftop while the second package adds new front and rear bumpers, side skirts and a restyled bonnet. 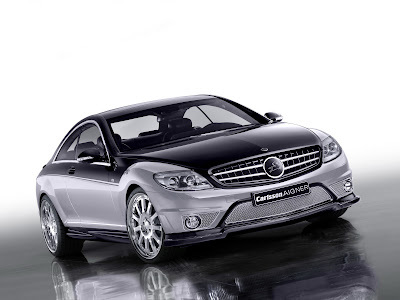 In both cases, the visual upgrades are rounded off with a set of newly designed alloy wheels. 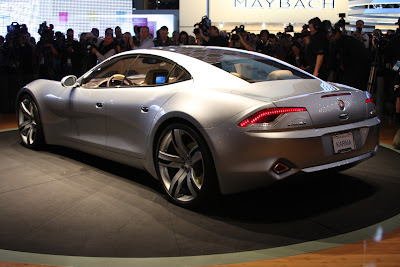 9ff has not disclosed any details about the mechanical upgrades it is preparing for the Panamera. 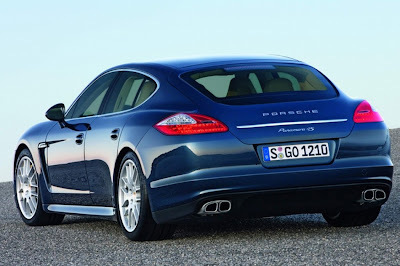 It remains unclear whether or not the Panamera project will be offered exclusively by Top-Car and/or by 9ff. 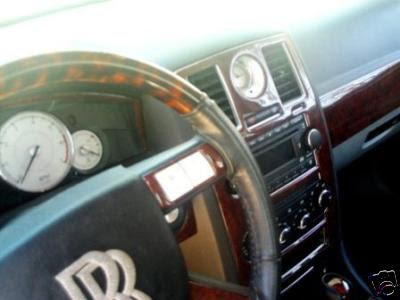 Bentley owners usually sit on two very opposite sides of the rich people spectrum. 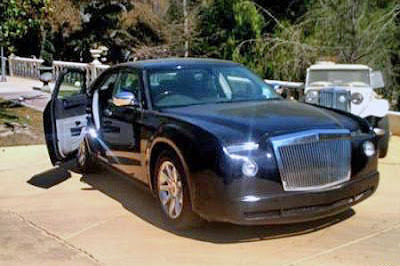 They are conservative people who want to keep a low profile but still ride in luxury, or recording artists (or wannabes) who are out to show the whole world how wealthy they can appear. This kit is for the latter. 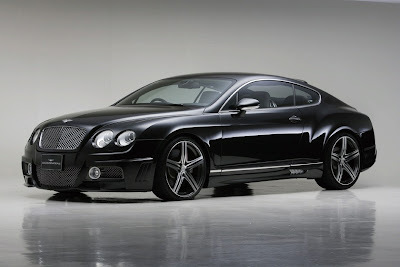 The Black Bisson Edition of the Continental GT by Wald takes the graceful lines of the Bentley and bolts on some attention. The edges of the body kit are rounded off with louvered styling elements. There is also a front bumper spoiler, side skirts, rear bumper spoiler, trunk spoiler and roof spoiler. 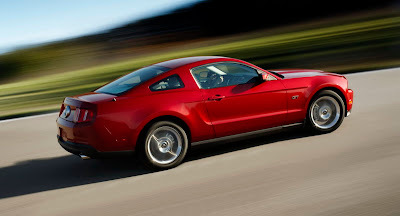 Other parts offered are a suspension height reduction kit and D.T.M sports muffler exhaust system. Price tag for the body kit alone is 1,522,500 Yen (about $16,000). 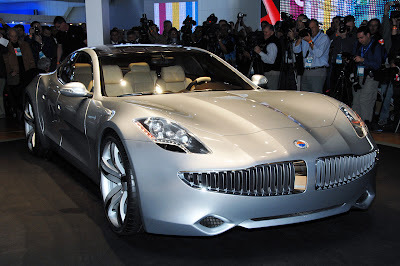 Just one short year after Fisker showed us its plug-in hybrid Karma show car at the "Detroit Auto Show", the house that Henrik built will be returning to the Motor City to debut the production version of its ambitious project. Fisker says the production model, which is shown in the post just-released official pic, will only vary slightly in design from the show car, including a different upper grille that's a bit larger towards the outer edges and a larger lower air intake. The exhaust pipe from the internal combustion engine will also exit from an odd place: behind the front wheels. We'll also get our first view of the Karma's production interior in Detroit next month. Fisker announced last month that it had chosen General Motors' turbocharged, direct-inject 2.0L four-cylinder as its power source of choice, and after sampling the engine in the Chevy Cobalt SS Turbo, we're very eager to see what it will do in a hybrid set-up designed to make one very large luxury saloon move like the wind. Combined with the hybrid system's 22.6 kWh electric motor, the drivetrain as a whole is said to produce 408 horsepower and propel the car to 60 mph in 5.8 seconds and onto to a top speed of 125 mph. What sounded like vaporware 365 days ago is starting to take form, and we'll be on hand in Detroit next month to bring you more. The guys over at GT-R Blog have their hooks deep into everything about the Nissan GT-R (obviously). So it’s no surprise they were able to get their hands on some of the specs for the upcoming Spec V edition of the Japanese supercar. The biggest upgrades to the car seem to be weight savings mostly through carbon fiber parts and the deletion of the back seat. It also features overboost button for increased midrange boost during passing. No engine upgrade has been confirmed. As reported last month, in 2009 all GT-Rs will get five more horsepower, for a total of 485 — well, that’s official numbers. It seems that although Nissan has pulled out of the January’s North American Auto Show in Detroit, it will use the GT-R Spec V to generate some news in its absence. The Spec V is expected to be officially revealed on January 8th, most likely in Japan. The collective artistic skill of Zsports Cars would hardly equal the pinky toe of Picasso, which is why we are duly impressed with Rob Ijbema's website called Car-A-Day. 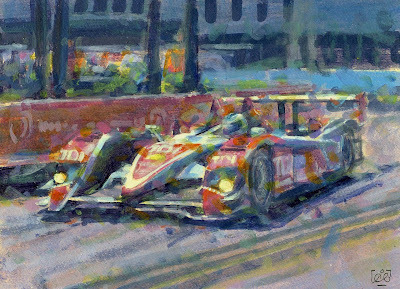 Rob began the site about a year and a half ago painting and publishing one work per day of cars in various forms of motorsport. He continued at this pace for over a year, but has since slowed down a bit, but the sheer size of his catalogue is still staggeringly impressive. 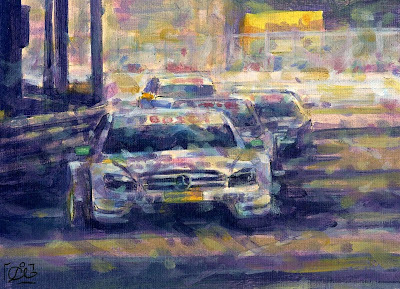 As you can see in our gallery of favorites, Rob has pretty much all of the well known brands of motorsports covered with paintings of race cars from LeMans, Formula One, the WRC, DTM, vintage racers and even NASCAR! His style might best be described as Impressionist with, as he explains, a focus on movement and atmosphere rather than detail, which would take much longer to reproduce on canvas. Most of Rob's work could go for hundreds if not thousands of dollars in a gallery somewhere, but for him they're all in a single day's work. Each one is for sale, just email Rob for a price. Check out our faves in the gallery below, and be sure to visit Car-A-Day yourself and peruse his archives, as well as subscribe to Rob's RSS feed for updates on when he publishes a new painting. We'd love to tell you that we're showing you this photo of a Bentley Conti GT getting sideways on the Finnish ice because it illustrates some Important New Car News: a new lightweight front splitter, or some innovative tires made from bin bags and bad thoughts, or something like that. But we're not. We're showing it to you because it looks awesome. Big British super-coupes powersliding on frozen Arctic lakes is something we should see more of. 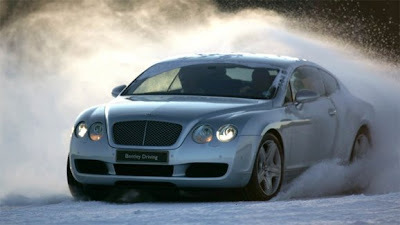 It's part of Bentley's 'Power on Ice' driving experience, where owners (or 'Premiership footballers', as they're better known) get to learn the grip and handling capabilities of their Bentley... by hooning it around the frozen lakes of Finland. Which definitely beats looping around traffic cones in a dingy parking lot. Actually, maybe there is some useful consumer advice here. If you get snowed in this winter, don't go thinking you need a super-safe 4x4 will hill descent control and a low ratio box. No, what you need is a 600 hp rear-drive supercar and a heavy right foot. Glad to be of help. 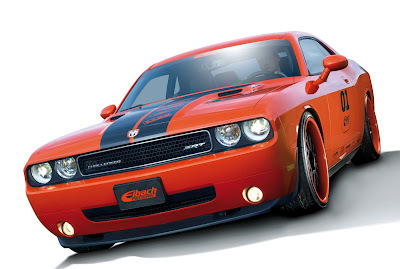 The Dodge Challenger made its way to Europe and the Essen Motorshow thanks to suspension manufacturer, Eibach which readied a mildly tuned version of the American muscle car. The SRT8 was imported for Eibach by USCars24.de and converted according to the applicable German lighting and licensing regulations. While retaining the SRT8's stock 6.1-liter Hemi V8 that produces 425HP, Eibach equipped the Challenger with the Coil-Over Suspension System Multi-Pro-R2 from its US product portfolio as well as a set of Botticelli III 22-inch alloy wheels from O.Z. wrapped around in Toyo Proxes T1R tires for improved handling. The The Eibach Challenger is also equipped with a multimedia unit from Alpine Electronics, which has been installed by the specialists of XTON from Dortmund, Germany. 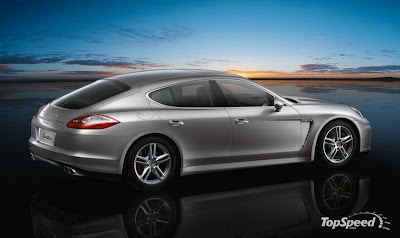 Porsche to us new images of its first sedan, the Panamera. Although the car won’t be seen in the flesh until January in the Detroit Auto Show, from these photos it seems Porsche is pushing the room inside of the car more than the performance. We’ll have a chance to see how well this car handles the corners while carrying a full suitcase when the car hits the showrooms by the end of 2009. Panamera will be offered in two trims, 4S and Turbo, and unlike the 911 and Boxster/Cayman, the Panamera will not have a boxer engine. Instead the lineup will take its cues from the Cayenne and have engines in the more traditional V6 and V8 arrangements. Power will range from 300 to 500 bhp depending on trim level and will come with either a manual six-speed gearbox or seven-speed Double-Clutch Gearbox. That treasure trove of appalling autodom described in the most gnarled English imaginable, otherwise known as eBay Motors, serves up today's flavorful morsel of weird and wonderful. 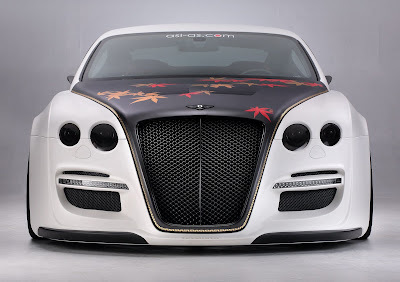 Why wait for the upcoming Rolls-Royce RR4 when you can just throw $50K at this heavily customized Chrysler 300C. It's got the ostentatious grille, the suicide doors, the RR embroidered headrests, but most importantly, a HEMI V8 underhood. HEMI, apparently now transmuted to mean "multi-displacement system," will save you fuel as you rent the car out for the dreamy rate of $750 per day as the seller suggests. At least with a Chrysler lurking underneath all that nasty, you can be assured that repair costs will be nominal compared to the real thing. 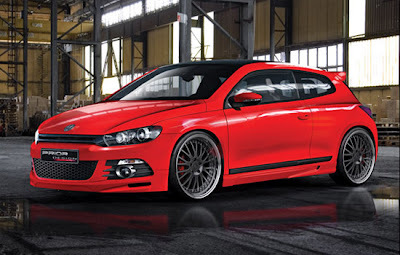 The latest addition from the German tuner Prior-Design is the new body kit for the Vw Scirocco. Although the car didn’t reach yet the U.S. market, although Vw assures us it will, we can still get a preview of the tuning programs for the stylish coupe. The new kit includes a re-designed front bumper, new side sills, a new rear roof spoiler, a new rear bumper with integrated air diffuser as well as a new exhaust system. The new kit is completed by the new multi-spoke alloy wheels painted in black in order to give the vehicle a new look. The serial Mercedes-Benz SLR is already one of the most impressive cars on our roads – but compared to the HAMANN VOLCANO it still looks rather harmless. 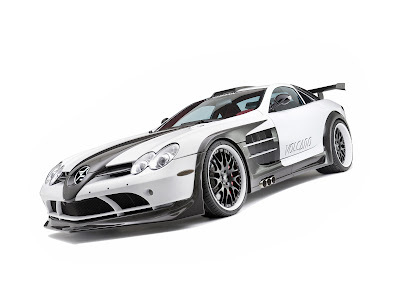 Once again, HAMANN-Motorsport proves its cutting edge when it comes to refining superb sports cars. From a lift-reducing body design to a powerful performance enhancement to a lavishly styled interior, HAMANN focuses on all components of this luxury car and makes the automobile dreams of its exclusive clientele come true. It seems that some people got a little trigger-happy and released the pics and info about the Porsche Panamera before the Monday’s press embargo expired. That just means some early fun and speculation for us about Porsche’s first sedan. The car sits on a 9.6 foot long wheelbase, and the total dimensions should be 16.3 feet long, 6.3 feet wide and 4.6 feet tall. 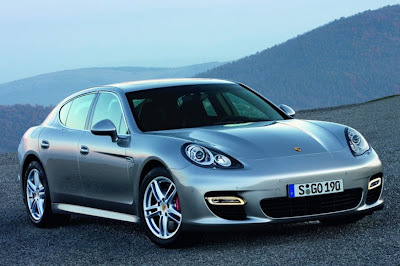 The sedan should have optional PDK dual-clutch transmission as well as all-wheel drive. Although engine specifications have not yet been confirmed, what we do know is the front-engine Panamera will likely start out with a power range of about 300 to 500 hp through a range of V6 and V8 engines. A hybrid powertrain and diesel version may also be in the works. The car will be seen in the flesh in January at the Detroit Auto Show. We will have plenty of updates until then, but for now enjoy some closure from all the speculation and renderings with some official pics. 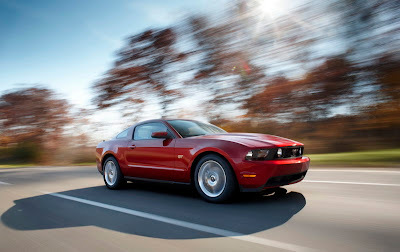 Muscle goes modern for 2010 as the Ford Mustang – America’s favorite muscle car for 45 years straight – hits the streets with a new exterior design; new world-class interior featuring well-crafted materials and updated technology; and a V-8 with even more horsepower and an even throatier signature Mustang exhaust sound. 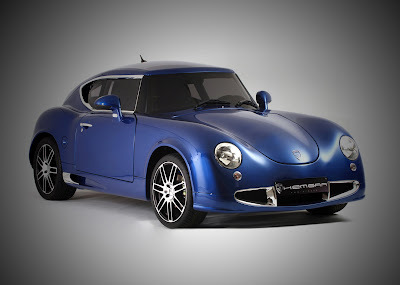 PGO, a French automaker that many have likely never heard of, has spilled the beans on its latest new car, which actually looks a lot like an old car. 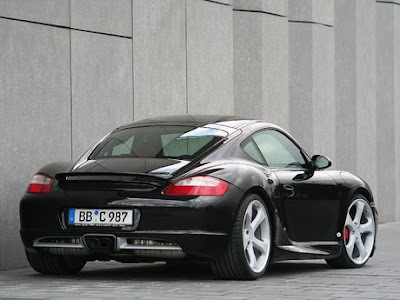 In this case, though, we'll forgive PGO for copying another automaker's styling, as the Porsche Speedster that the Hemera gets its good looks from happens to be one of the most classic and perfect designs ever. To our eyes, the Hemera looks more like a modernized 356 than any current Porsche does, and that's not a bad thing. The \Hemera has another thing in common with the classic Porsche: light weight. Coming in at just 2,160 pounds, the Hemera achieves its sporty performance in much the same way that Lotus does, meaning that the Hemera's natural gas-fed, Peugeot-sourced, mid-mounted powerplant that makes all of 140 horsepower is sufficient to accelerate the car to 60 in under 7 seconds and up to a top speed of 124 miles per hour. Sure, it's not going to break any records, but that's plenty to have some fun with. 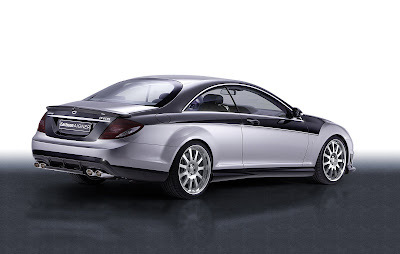 Pity us here in the States - this one's a Euro-market car only and will go on sale early next year. The thing about replicas is that most of the times you're impressed with the effort that went into building one rather than the overall result. 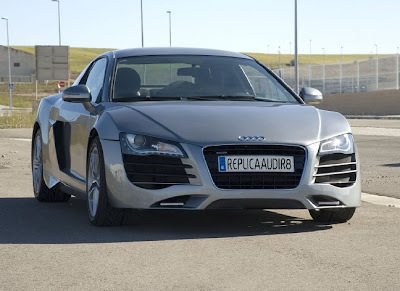 But in the case of the Audi R8 replica that was made out of a European 2001 Ford Cougar 2.5 V6 by Alberto Gavach Fuertes from Zaragoza, Spain, we must admit that we're also amazed from the outcome. 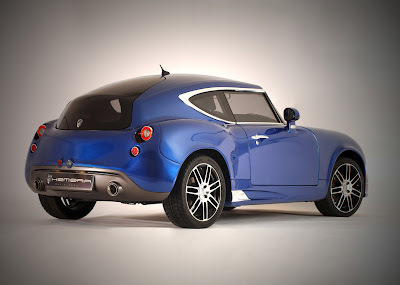 For those that are swift to criticize, bear in mind that Alberto managed to approximate the looks and proportions of a mid-engined sportscar using a front-engined, front-wheel drive coupe. 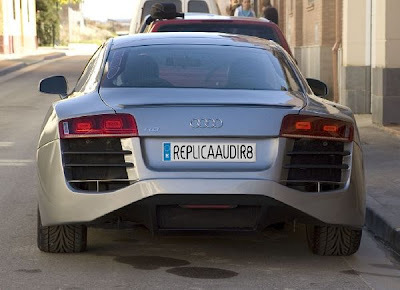 Sure many will find that some exterior details are either wrongly presented (front spoiler) or missing (tailpipes), or even that the interior of the car, with the exception of the unnecessary 'R8' badge on the steering wheel, is all stock, but you have to hand it to this guy for doing a spectacular job. 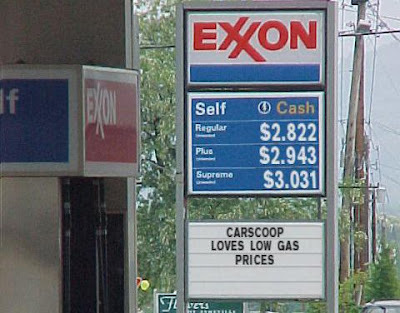 Fortunately for us, as crude oil prices tumble down so do gas prices - or at least in the States. According to the American Automobile Association (AAA), for the first time since February 2008, the average price of regular unleaded gasoline fell under 3$ a gallon. In the AAA Fuel Gauge Report, the current average price of regular unleaded in the U.S. on 23 October, was $2.822 which is a far cry from the highest recorded price on July 17, 2008 when gas hit a nationwide average of $4.114 which sent everyone into despair. The AAA's report notes that Oklahoma State continues to have the lowest average price in the States at $2.461 for a gallon of unleaded regular while Alaska has the highest at $3.844. 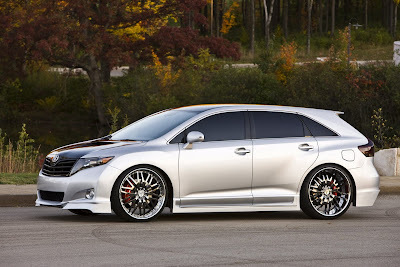 The conceptual vision of the Toyota SportLux Venza by the Street Image design team was centered on a vehicle which could be offered as a factory tuned model. Taking cues from European tuners, Street Image added an assortment of subtle, yet aggressive, body kit modifications including a six-piece lip kit enhancement, rear hatch spoiler, custom grille and integrated hood scoop. 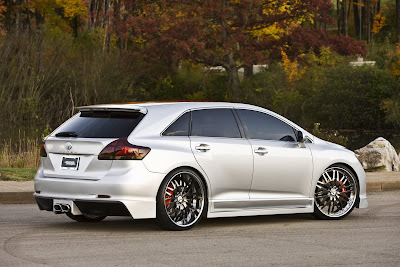 Its performance driven stance reflects the Toyota SportLux Venza's substantial boost in power output. Among its many performance modifications are several components from Toyota Racing Development (TRD) including a supercharger kit. The SportLux Venza's power surge is complemented with a height adjustable coil over tuned suspension and rides on Chrome Cognac No 20 Wheels measuring 24-inches and Toyo Proxy 4 performance tires. The massive wheels are controlled by 15-inch front and 13.6-inch rear TRD Big Brakes with forged calipers. Street Image added appropriate interior comfort and convenience modifications to the SportLux Venza including special Black & Burgundy leather seating. A state-of-the-art Eclipse entertainment system features a premium navigation system and includes front and rear video and high-powered audio. 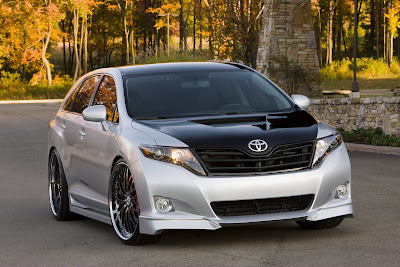 The overall effect gives passengers a refined sports car feel without sacrificing the utilitarian appeal of the Venza. 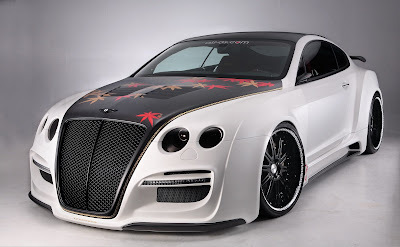 ASI's automotive masterpiece, the TETSU GTR, is a full custom complete car program for the Bentley Continental GT. 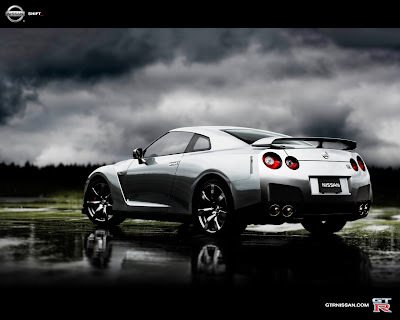 Utilizing a super-efficient exhaust system, intensive ECU tuning, enlarged turbocharger turbines, and an improved engine coolant system, the TETSU GTR achieves a breathtaking and unprecedented 800 horsepower. The Bentley Continental's stately appearance has also been reimagined from the ground up in order to better showcase ASI's spectacular power boost. The 2070mm wide body, long-grill exterior features LED day lights, carbon fiber lip elements and a plethora of dry carbon components (hood, roof cover, trunk lid, rear wing, rear diffuser). ASI's prestige styling package showcases some of Japan's most traditional and sophisticated artistic traditions; the hood and interior have become a canvas for the skillful hand of Tetsuei Nakamura, who has been comissioned for countless projects by luxury hotels and illustrious locations around Japan, including Enryaku-ji (Mt. Hiei) . The seats and floor mats have been fashioned in the Nishijin weaving legacy, further imbuing each TETSU GTR with the spirit of Japan's cultural capital, Kyoto. 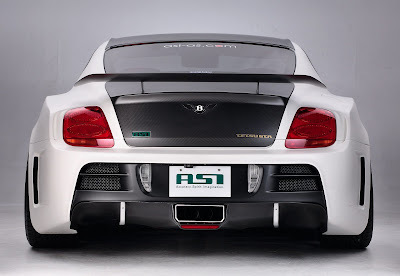 ASI's flflagship TETSU GTR, appearing at the 2008 SEMA Show, boasts a two-tone carbon fifiber, Fujiyama matte white color scheme, ASI's 22-inch forged wheels in a special midnight black style, blacked out headlights, a gold dry carbon engine cover, a carbon fiber sports steering wheel, and ASI's original 12-piston braking system. But as a full custom work, each of the 29 TETSU GTRs to be produced can be entirely customized to the owners' requests, down to the most minute detail.